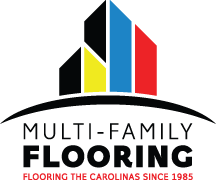 In need of flooring for a recreational or athletic facility? We provide and install sports flooring in gymnasiums, weight rooms, locker rooms, aerobic rooms and common areas. Our experienced team of sales and installation professionals can handle the entire project and will work closely with you to meet your specific timeline and budget. © 2019 Multi-Family Flooring. All rights reserved.